There was drama at the Kiambu Level V Hospital mortuary on Tuesday following a mix-up of bodies that had been released that day. The facility’s management had to recall all six male bodies after one family that had arrived to collect their late father couldn’t locate his remains. A member of the family said they arrived at the morgue early Tuesday morning and were handed another man’s body. ‘When we got into the mortuary we were given a body of a man but when we looked at it, we realised it was not that of Stephen Mburu. We demanded for our body. We were handed another one but still it was not the one we had come to collect,” said a relative. After a frantic search by the morgue attendants, they decided to recall the bodies. Five families returned the bodies they had collected for re-identification but this would still not help matters as none of them matched that of Mburu. One of the families was in the process of interring their loved one when they received the call that they might have picked the wrong body. They, however, were allowed to continue with the funeral after it was proven they had the right one. The mortuary attendants went back to their records and that is when the mystery was solved. 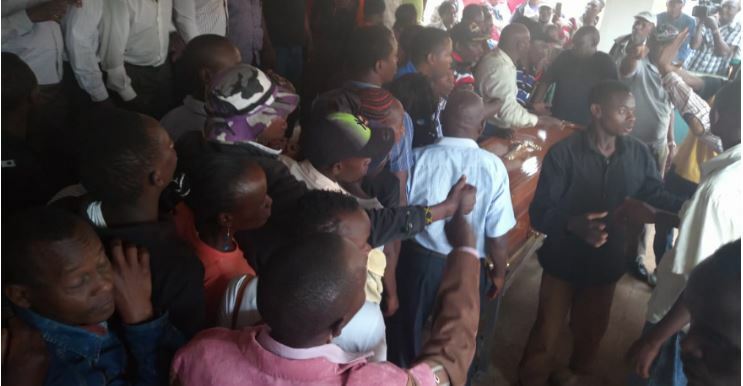 Records revealed that on Friday, August 3, a family collected a body and moved it to the Kirinyaga hospital mortuary ready for burial. Upon inquiry, it was confirmed that they had collected Mburu’s body by mistake while the body of their loved one was still lying at Kiambu morgue. Mburu’s family blamed the mortuary management accusing it of inefficiency for failing to conduct appropriate tagging and registration of bodies at the facility. The Kiambu mortuary management declined to comment on the matter. Githunguri MP Gabriel Kago said that the Kiambu mortuary will cater for additional expenses emerging from the body mix-up.